"He just said he couldn't handle me." She had just married the love of her life and was excited to start a family with him. Courtney Cosper Waldon was the happiest she had ever been before the unthinkable happened. 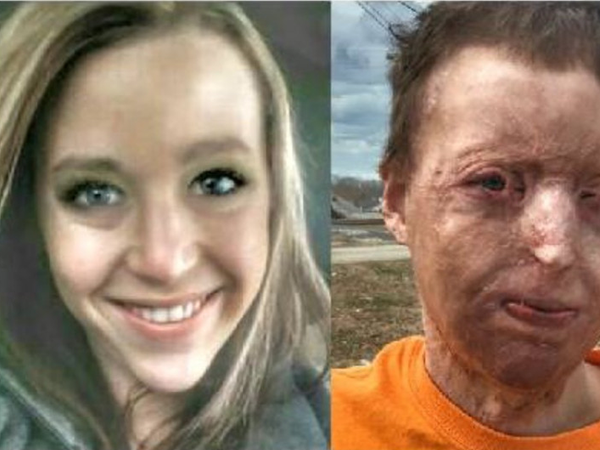 The 27-year-old from Georgia in the US suffered third-degree burns to her face and body when someone poured gasoline onto a nearby campfire in 2016. 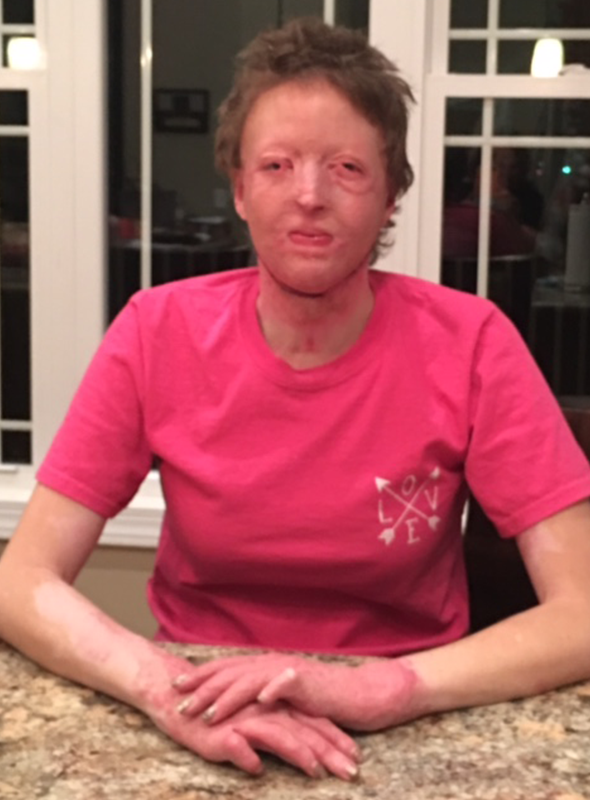 The flames exploded in her direction burning 40% of her body. 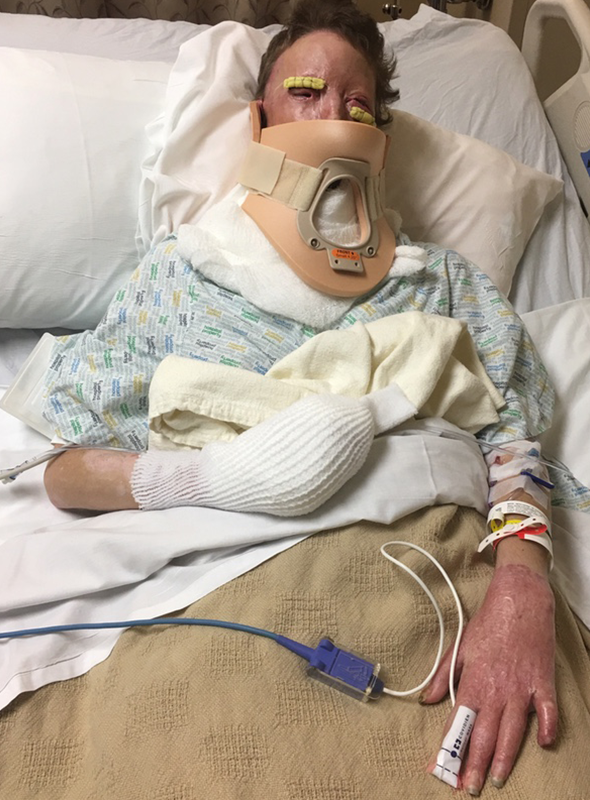 She was rushed to hospital, where doctors put her in a medically induced coma for a month. Two weeks later, Courtney's husband left her, she says, because "he couldn't handle her". "It was a slap in the face when my husband left me. I tried and begged him to come back, my daughter didn't deserve it, but he just said he couldn't handle me." The mother-of-one told The Mirror that she had lost everything, and thanks to extensive medical bills, she and her young daughter were now homeless. Describing how the traumatic moment that changed her life forever, Courtney said, "I remember every second of what happened. I remember being on fire. I dropped and rolled and finally was tackled to the ground. I was crying out call the ambulance." She was kept in ICU for 51 days. "I went from being the very pretty girl, just married, had my life in order to barely being able to dress and needing help for everything and having to learn how to do things over again." When her five-year-old daughter finally saw her following the accident, the little girl didn't recognise her. But when she heard her mother's voice, she immediately went and hugged her. This, Courtney says, helped her not to give up. "When I was having trouble learning to walk she would tell me to hold her hand," she said. She has since started a Gofundme page, where she has received an outpouring of love and support. "Every day I get more hopeful, I'm here for a reason," Courtney concluded.